Citizen Kane was one of the movies that made me aware of movies. I’d seen hundreds of them, but I’d never really thought about who made them. I’d never really thought about what those words “directed by” meant. Suddenly all that mattered was the director. And Orson Welles was the director that mattered most to me. Not too long after watching Kane, I was talking to a friend and mentioned that I’d seen it. She said she had a book on Welles, and offered to give it to me. I was thrilled. I hope I thanked her profusely. 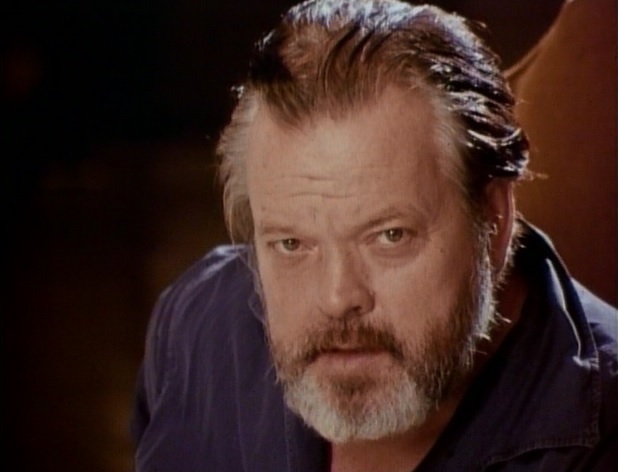 It was Joseph McBride’s critical study, simply titled Orson Welles. I took it home and started reading it immediately. One of the most interesting chapters in McBride’s book is the one where he describes his first encounter with Welles. They met for lunch one day, and the next thing McBride knew he was acting in the director’s latest project, a film called The Other Side of the Wind. The details were sparse, but I was thrilled to know that Welles had something in the works. I couldn’t wait til the day when The Other Side of the Wind would be released. That was around 1972. Welles died in 1985. At the time of his death, The Other Side of the Wind was still unfinished. I’ve been dying to see this movie for decades. Every so often something would happen to raise my hopes, but nothing ever materialized. Welles recieved an award from the AFI in 1975, and it seemed like his luck might be turning. During the program they actually screened clips from The Other Side of the Wind. I was knocked out. A few years later I saw Welles in person at the DGA, and he showed some more footage. I’m sure he was hoping that one of the industry insiders in the audience would come forward with financing. Didn’t happen. Then after Welles’ death, I’d read things from time to time about how someone was trying to rescue the film, about the bizarre legal tangle that it was ensnared in, conflicting accounts about how much of the footage Welles had actually assembled before his death. It was all very discouraging. Finally, earlier this year, it was announced that a deal had been made. Royal Road Entertainment had obtained the rights to the footage. Peter Bogdanovich and Frank Marshall would be involved in producing a final cut. Initially, I was ecstatic. My enthusiasm dissipated as I read more, because I realized that Welles had only managed to complete about forty five minutes of a work print. Bogdanovich and Marshall were going to try to assemble the rest. I don’t mean to say that I don’t trust these guys. 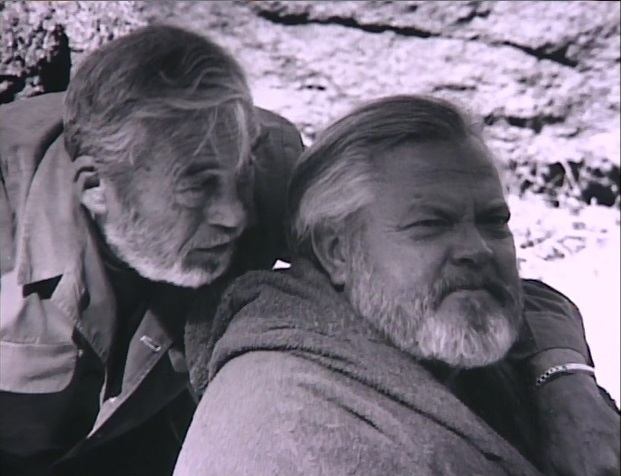 They’re both intelligent men with years of experience in the industry, and they both worked with Welles during the filming of The Other Side of the Wind. In fact, Bogdanovich plays a leading role. They’ve also shown their dedication to this project by pursuing the footage for years. But Welles had an extremely individual approach to editing. In fact, there’s no one else you can even compare him to. The cutting in Citizen Kane looks pretty sophisticated for 1941, but it was only the beginning. If you look at Fake?, which the director made toward the end of his career, you’ll see that Welles had developed an extremely intricate approach to editing. In bringing together footage from a number of different sources, he gleefully plays with space and time, creating a vivid and witty collage. In the clips I’ve seen from The Other Side of the Wind, Welles seems to be continuing in a similar vein, a style you might call fluid fragmentation. My point being, Welles had a totally unique approach to editing. 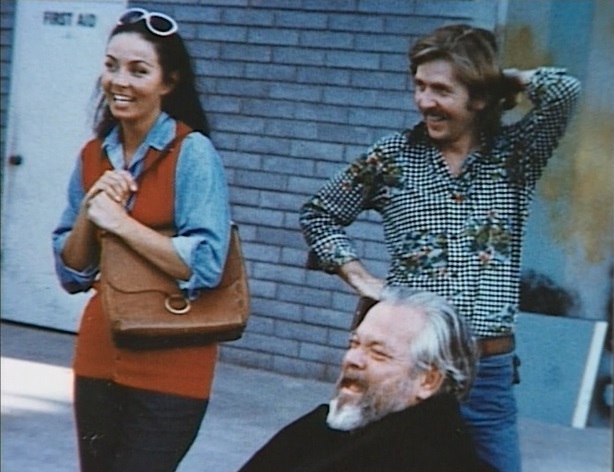 To make it even more challenging, there was no final shooting script for The Other Side of the Wind. McBride quotes Welles saying that he had written a script that would run for nine hours. He ended up discarding it, and decided to improvise based on what he knew about the characters, This doesn’t mean he had no idea where he was going. I’m sure Welles had the arc of the story clearly laid out in his own mind. But, as close as they were to the director, Bogdanovich and Marshall don’t know what was going on in his head. And while they apparently have access to a script Welles wrote, it’s apparently not the kind of shooting script that would give specific guidance. And even if they had something that specific to guide them in dealing with the visual side of the film, there’s still the aural dimension. Welles was unique among filmmakers, because before he ever set foot in Hollywood, he’d spent years in radio. In terms of sound, Citizen Kane was by far the most intricate and innovative film Hollywood had made at that time. In later films like Touch of Evil, The Trial, and (even with it’s technical deficiencies) Chimes at Midnight, the use of sound is incredibly subtle and expressive. Approximating a Welles soundtrack would be difficult enough under the best circumstances. But the director relied heavily on looping during post-production, and this requires having actors available for re-recording dialogue. Many of the actors who appear in The Other Side of the Wind, including the star, John Huston, are dead. I realize now that I’m never going to see the film that Welles envisioned. At best, I’m going to see an approximation. While I know that Bogdanovich and Marshall will do everything they can to honor the director’s conception, whatever they come up with will be their best guess. This isn’t meant to be a criticism. I’m really grateful to them both. It’s just a fact. As talented as they are, they’re not Orson Welles. I read that Royal Road is planning to have the film ready by the one hundredth anniversary of Welles’ birth, which will be in May, 2015. This sounds like a nice idea, but honestly, I think it’s completely unrealistic. Lacking a shooting script, it could take months for them just to construct an outline to guide their work. Editing the footage in a style that approximates Welles’ approach will be a daunting, time-consuming task. And assembling a soundtrack that comes anywhere near the richness and complexity of the director’s work will be incredibly challenging. We have to remember that Welles usually spent months, sometimes years, editing his work. With all respect to Bogdanovich and Marshall, the idea that they could complete their work by next May seems difficult to believe. While I can certainly understand the desire to have the film ready by Welles’ one hundredth birthday, it seems like it might be better to let them take whatever time is needed to get it right. I was also wondering if anyone had spoken to Walter Murch. Having worked on the reconstruction of Touch of Evil, Murch has had hands-on experience in assembling Welles’ work. He not only understands images, he understands sound. As an editor with decades of experience, it seems to me his assistance would be invaluable. Even with all my reservations about this project, I don’t mean to be cynical, and I wish everyone involved all the best as they undertake this monumental task. I’m sure everybody agrees that the most important thing here is to honor Welles’ intentions. I’m really glad this is moving forward, and I know there a thousands of people like me who were rejoicing at the news that a deal had been signed. Here’s a link to the New York Times article that appeared just after the announcement was made. Profuse thanks to Royal Road, Peter Bogdanovich, Frank Marshall and everyone else involved in the long, difficult struggle to bring The Other Side of the Wind to the Screen. Whatever they come up with, I will be standing in line to see it. Posted on December 24, 2014, in Film Preservation and tagged Frank Marshall, John Huston, Orson Welles, Peter Bogdanovich, Walter Murch. Bookmark the permalink. 1 Comment. Good work, as always. I’m intrigued enough to see it, if and when it’s completed.